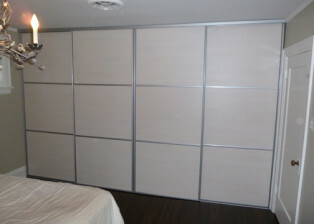 Sliding doors for closets have come along way. 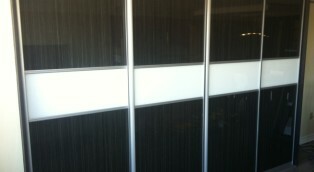 Gone are the days when mirror doors were considered the main upgrade for standard flimsy panel sliders. 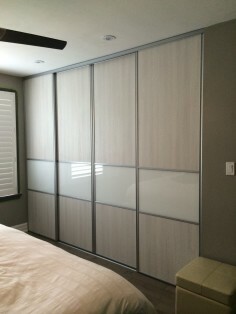 Sliding doors for closets these days can be made to be a design statement and can be designed to work with the other materials and finishes in your space. 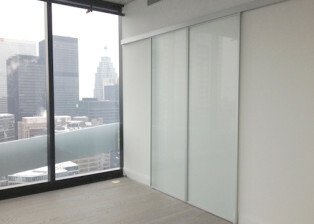 Komandor offers one of the most comprehensive frame and insert material selections for sliding doors on the market. We offer steel frames and aluminum frames, laminate panel, frosted, clear or back painted glass inserts, different colours of mirror and a host of other specialty and highly custom materials to insert into your door system. We can mix and match materials or same materials but different colours. Also, we can insert those materials in whatever proportion you choose. With so many systems available and new systems in development, we are sure to have something to fit just about any application or budget. Komandor is well known as having the smoothest and quietest sliding doors for closets on the market. Our patented bottom mounted ball bearing rollers are engineered to outperform comparable systems. 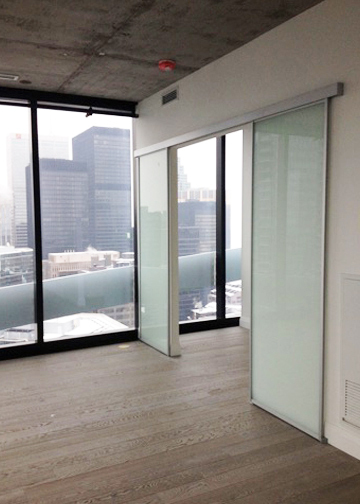 Our systems are made to your opening’s specific dimensions and carry a 10 year warranty. 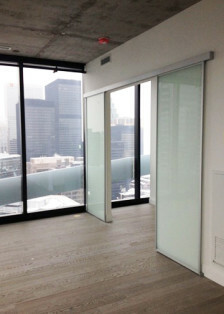 Below, you will find a small selection of sliding doors and materials offered by Komandor. Some are quite unique in their application. 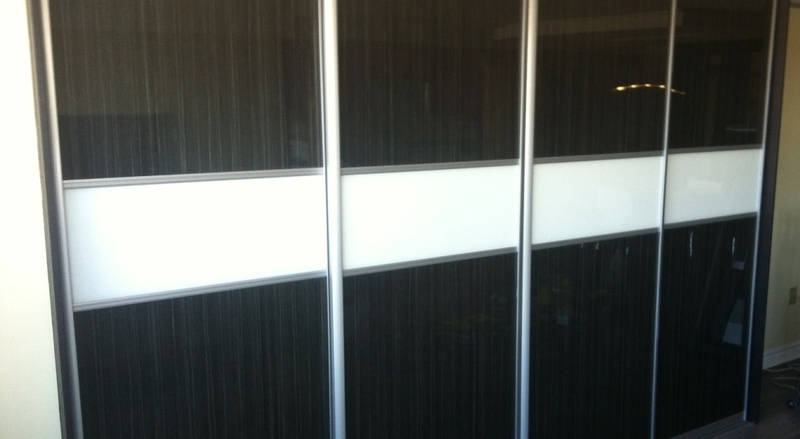 Please Contact Us if you are interested in sliding doors or would like more information on other Komandor products.